Unless you have been living under a rock since your inception….odds are you have probably heard of the world’s most infamous romance novel….Jane Austen’s Pride and Prejudice. It is a universally acknowledged truth that every literary major is in want of Mr Darcy. What is it about P&P that still captivated audiences 200 years after its publication? 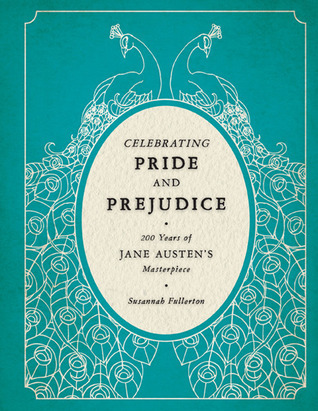 Susannah Fullerton explores what makes P&P so memorable for readers. Is it the characters: the dashing Mr Darcy or the unconventional Elizabeth Bennet? Or is it something more mechanical, say the literary style and use of ‘free indirect speech’ (FID) that sparks your interest? Perhaps you love P&P for an entirely different reason: you are a cover whore and are drawn to all the beautifully reprinted copies and their stunning cover art! Whatever your reason is, P&P is a literary icon that is here to stay! I love P&P for all those reasons and so much more which is one of the reasons why I decided to read this book for review. Like most literary majors, I have taken a whole course devoted to Jane Austen and written many scholarly papers on her novels and their influence in society. As a result of my research, I have read a lot of other scholarly material on Austen and her novels, but yet I found myself gravitating toward this book. Fullerton’s novel is bases solely on P&P and I loved that it had a section about P&P in the modern day literature–it’s influence in the mashup novel genre for instance, and of course P&P on the silver screen. Fullerton took on a lot when she started this novel. There is so much out there on P&P and Austen and trying to compartmentalize would be a challenge for anyone. It is difficult to cover so much info without things getting overly scholarly or without veering off tack into other discussions and lengthy volumes. That said, I felt Fullerton did a bang-up job hitting all the high notes and giving the reader things to consider and leaving the door open for future books detailing one chapter or another. Her information was presented in a well organized manor and the argument wasn’t overly scholarly which helps appeal to a weirder audience. Fullerton begins her book with P&P’s publication and the public reaction to the novel. Then she discusses the literary mechanics of the novel, and then onto the characters. Everything finally comes full circle at the end where she discusses the influence of P&P in the modern day (mashup novels, films, retellings etc). My favorite chapters were Illustrations and Coverings and the Sequels and Adaptations. I loved how Fullerton discussed the impact of cover art on novel sales. Clearly cover art is meant to attract readers…I don’t know about any of you but I own at least five hard copies of P&P simply because I love the cover art. I liked that she talked about how technology threatens to do away with the all important cover art now that more and more people are moving toward e-readers and Kindles. I loved how Fullerton showed the metamorphosis of the book cover from the early editions to modern day….well researched and presented! Not to mention, I loved that this book has many beautiful illustrations and pictures as well…it really added an extra element to the book. Like most P&P fans, I have read a number of P&P spin offs. I really do want to know if they did live happily ever after….I loved how Fullerton incorporated this concept into the book. Her arguments were strong and well presented especially in this section. There were parts of the book though that I felt could have been stronger. Fullerton made solid points about both Mr Darcy and Elizabeth Bennet, but for me, it was all things I had heard before in one way or another. Same with the section about the literary mechanics, much of this section I have seen in other scholarly articles and books. Fullerton shined most for me in the sections about P&P’s modern day influence. Anyone who loves history, especially literary history, will enjoy reading this book. It has a solid foundation and though at times can be redundant in material; Fullerton presents a concrete argument about P&P’s metamorphosis from romance novel to literary icon. ARC Review copy provided by: Voyageur Press in exchange for an honest review.